This week Harold Koh, the Obama administration's State Department Legal Advisor, spoke at the American Society of International law. During his speech he argued that the administration's use of unmanned drones to conduct strikes in which many have been killed in Pakistan and Afghanistan, are legal and in accordance with international law (see extract below). He argued that a) the U.S. is in armed conflict with al Qaeda, b) Congress authorized the President to use all necessary means via the AUMF, c) al Qeda continues to attack the U.S., d) the U.S. is allowed by international law to defend itself, and, e) that when the U.S. acts it uses force proportionally and works to avoid unnecessary civilian victims/fatalities. So, does this persuade? Let's try a simple thought experiment and consider what would result if this line of argument is used... but substituting "Iran" for "the U.S." and the "MEK" for "al Qaeda." 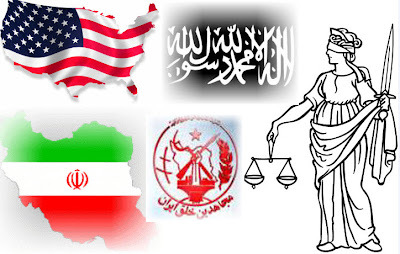 Clearly, the MEK has been in armed conflict with Iran, which has designated it as a terrorist organization (as, incidentally, it also has been designated by the U.S. and other countries e.g. Iraq, Canada, etc.). 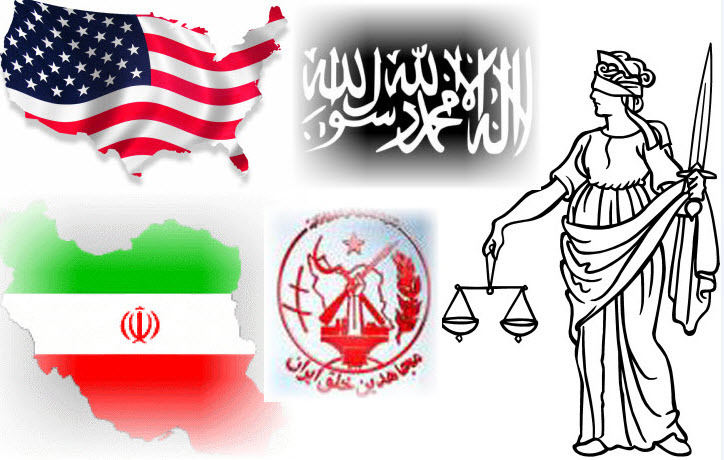 The MEK continues to plot/act against Iran, which also has an international law right to defend itself. So, should Iran conduct a strike against MEK members in another country (while maintaining proportionality and doing their utmost to limit civilian casualties), would the U.S. make the (exactly parallel) argument that Iran was within its right pursuant to international law? Permit this blogger to strongly doubt! And if the other country was a Western country or, gasp, the United States, it seems rather likely that this would be used as an example of Iran's wanton disregard of international law, an additional reason to call for sanctions, etc., etc. "... In the same way, in all of our operations involving the use of force, including those in the armed conflict with al-Qaeda, the Taliban and associated forces, the Obama Administration is committed by word and deed to conducting ourselves in accordance with all applicable law. With respect to the subject of targeting, which has been much commented upon in the media and international legal circles, there are obviously limits to what I can say publicly. What I can say is that it is the considered view of this Administration—and it has certainly been my experience during my time as Legal Adviser—that U.S. targeting practices, including lethal operations conducted with the use of unmanned aerial vehicles, comply with all applicable law, including the laws of war. The United States agrees that it must conform its actions to all applicable law. As I have explained, as a matter of international law, the United States is in an armed conflict with al-Qaeda, as well as the Taliban and associated forces, in response to the horrific 9/11 attacks, and may use force consistent with its inherent right to self-defense under international law. As a matter of domestic law, Congress authorized the use of all necessary and appropriate force through the 2001 Authorization for Use of Military Force (AUMF). These domestic and international legal authorities continue to this day. Second, the principle of proportionality, which prohibits attacks that may be expected to cause incidental loss of civilian life, injury to civilians, damage to civilian objects, or a combination thereof, that would be excessive in relation to the concrete and direct military advantage anticipated. In U.S. operations against al-Qaeda and its associated forces-- including lethal operations conducted with the use of unmanned aerial vehicles-- great care is taken to adhere to these principles in both planning and execution, to ensure that only legitimate objectives are targeted and that collateral damage is kept to a minimum. First, some have suggested that the very act of targeting a particular leader of an enemy force in an armed conflict must violate the laws of war. But individuals who are part of such an armed group are belligerents and, therefore, lawful targets under international law. During World War II, for example, American aviators tracked and shot down the airplane carrying the architect of the Japanese attack on Pearl Harbor, who was also the leader of enemy forces in the Battle of Midway. This was a lawful operation then, and would be if conducted today. Indeed, targeting particular individuals serves to narrow the focus when force is employed and to avoid broader harm to civilians and civilian objects. Second, some have challenged the very use of advanced weapons systems, such as unmanned aerial vehicles, for lethal operations. But the rules that govern targeting do not turn on the type of weapon system used, and there is no prohibition under the laws of war on the use of technologically advanced weapons systems in armed conflict-- such as pilotless aircraft or so-called smart bombs-- so long as they are employed in conformity with applicable laws of war. Indeed, using such advanced technologies can ensure both that the best intelligence is available for planning operations, and that civilian casualties are minimized in carrying out such operations. Third, some have argued that the use of lethal force against specific individuals fails to provide adequate process and thus constitutes unlawful extrajudicial killing. But a state that is engaged in an armed conflict or in legitimate self-defense is not required to provide targets with legal process before the state may use lethal force. Our procedures and practices for identifying lawful targets are extremely robust, and advanced technologies have helped to make our targeting even more precise. In my experience, the principles of distinction and proportionality that the United States applies are not just recited at meetings. They are implemented rigorously throughout the planning and execution of lethal operations to ensure that such operations are conducted in accordance with all applicable law. In sum, let me repeat: as in the area of detention operations, this Administration is committed to ensuring that the targeting practices that I have described are lawful.."